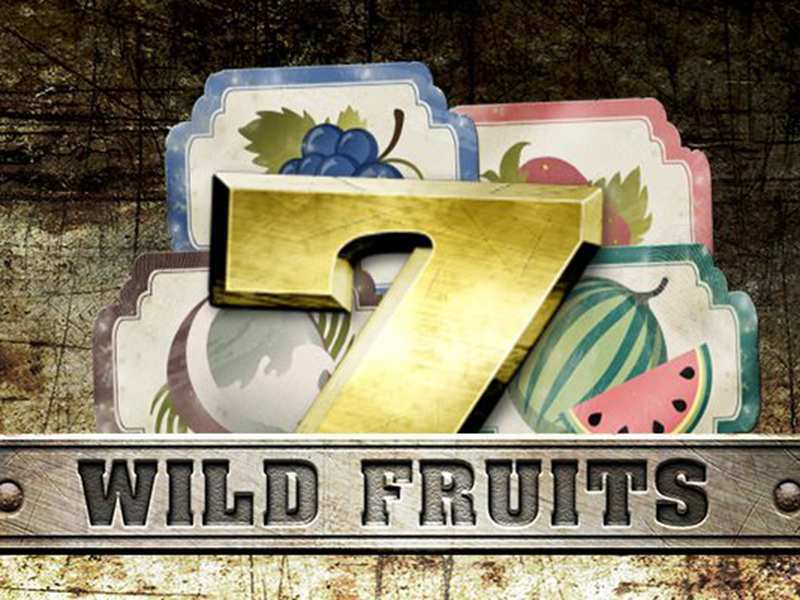 Wild Fruits by Endorphina is an online slot game that combines the best of both worlds, merging two classic casino themes - Fruits and the Wild West! This unique thematic innovation is perhaps what makes Wild Fruits Slots so popular in the UK and beyond. The 5 reels are peppered with vibrant fruits interspersed with Sheriff-Stars, lucky number 7's and Wild symbols. The game is well-paced and offers the player an opportunity to win big with a potentially achievable jackpot payout. The Coin size can be regulated using the Credits option while the Bet option controls the number of coins per line. The Lines option sets the number of lines and Total Bet sets the ultimate Wager. The game can be set in Auto mode too with the player’s bet being repeated for the specified spins. The Spin symbol sets the game in motion with Turbo increasing the spin speed. If a player manages to win two buttons appear, the Take Win and Take Risk buttons. While the Take Win button allows the player to walk away with their winnings, the Take Risk button unlocks the Gamble Feature, a signature element of an Endorphina game. Most of the symbols are fruits in different pastel-hues. These have varying values with some like the Apple, the Orange or the Cherry symbols having highest possible multipliable values of 200 while the Grape, Coconut or Watermelon symbols have multiplication values of up to 500. The symbols besides these include a 7 which has the highest value amongst the usual symbols with a payout potential of 1000 times the player’s bet when 5 or more appear on an active pay line. Another symbol on the board is the Wild Symbol the property of which is that it can substitute any of the symbols other than the Scatter Symbol. The Wild Symbol appears on Reels 2, 3, 4 and 5 respectively. The Sheriff’s Star is the Scatter Symbol in this game. This appears on Reels 2, 3 and 4 only. The appearance of 3 or more Scatter symbols unlocks 10 Free Spins. The playing of every free spin adds a Wild Symbol to the Reels for the rest of the free spins. This Free Spins feature can, however, be re-triggered only once for another 5 times. Wild Fruits Online offers a gambling opportunity akin to other Endorphina games. The Gambling round is triggered if a player chooses the Take Risk option after landing a win. This is an intriguing and unique feature amongst slot games, again setting the game apart from various others. In this round, there are 5 cards displayed with one turned up and so revealed to the player and the rest kept facing downward. The player gets to pick one of those unrevealed cards. He/she has to pick a card with a value higher than that of the one picked by the system to double his/her winnings. Picking a card of a higher value also gives the player another opportunity to gamble and so double the winnings. This mini-game only concludes when the player chooses to stop gambling or when he/she loses the bet, thereby forfeiting all the coins won in the round up to then. This feature thus exponentially increases the player’s chances of walking away with some real money from this free no download free casino game. The game is thus easy to comprehend and to master, with promising return projections for the serious player. So, one can play free Wild Fruits casino slot machine to experience the adventurous vision of the Wild West built up by the ambient music and the graphics. The combination of two themes that are each uniquely popular in this particular gaming ambit makes for a novel experience. The Fruits add a vibrancy to the game, enhancing its visual appeal and focussing the players’ attention while the Wild West angle on the other adds a ruggedness to the game, lending it an adventurous appeal, with the Saloon-like setting and the neatly woven background story. The game is light and enjoyable, while also offering some real winning opportunities with decent payouts and bonus victories. 0 responses to "Wild Fruits Slot"